Telegram is an instant messaging app for Android, iOs. Telegram is a free and open source project. It focus on speed and security. Official Telegram clients are available for Windows and Mac OS X. There is no native client for Linux available now. Sigram is a native clent fro Telegram written in C++, C, Qt, QML. Sigram supports chatting with your Telegram contacts as well as sending and receiving images (it uses Limoo image viewer under the hood) and emoticons. This is the basic features of Telegram. Advanced features like secret chats, self destroying messages, sending audio/video files are not supported now on sigram. 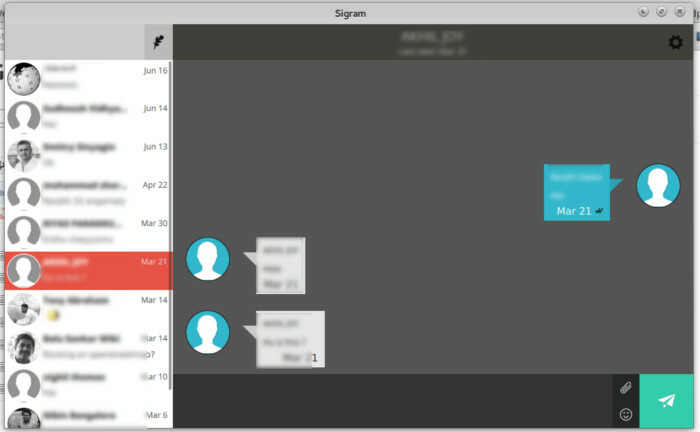 Sigram can display notifications and new messages with native system notification system. Sigram comes with a system tray icon and on clicking we can get the application to the front. There’s also an option to change the chat background. Sigram is now under heavy development. It will get an option to add contacts, option to change avatar in the next release. 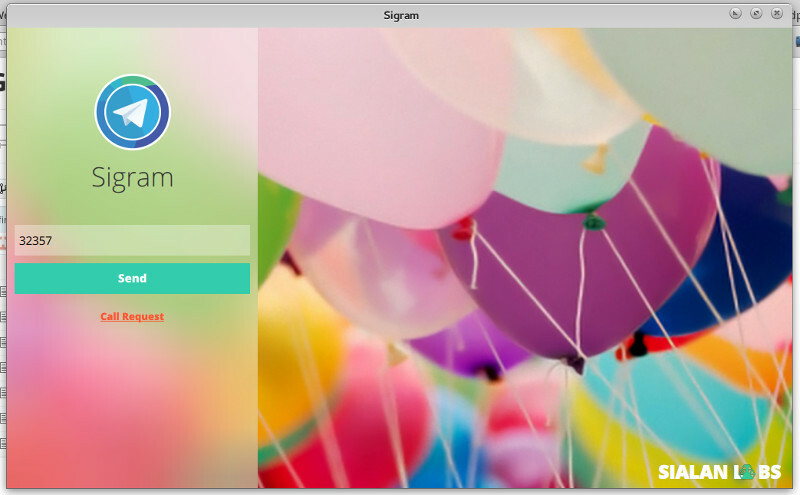 Sigram works well with ubuntu 14.04 and fedora 20. Some qt5 dependencies are required for the application and they will be installed nicely. Sigram, the open source Telegam Client for Linux desktops, can be download from Sialan Labs – there are Ubuntu debs, Arch Linux AUR packages, rpm packages as well as generic Linux binaries available for download, along with the Sigram source.